Uphill from the tee to the green. Out of bounds running down the right. Take an extra club for your second shot. Stunning views greet you as you stand on the second tee. 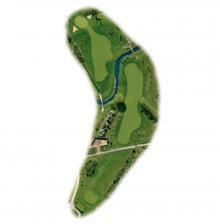 Choose your club carefully because the pin position can alter the length of this hole by 60 yards. Long hitters run the risk of both water and sand off the tee on the 3rd. 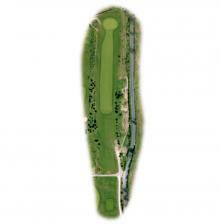 The perfect tee shot would measure 200 yards leaving a mid iron or pitch to a raised green. A real test. 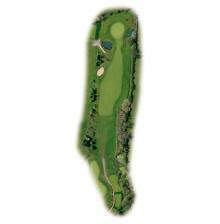 The tree is a good line off the tee as the fairway slopes from right to left. 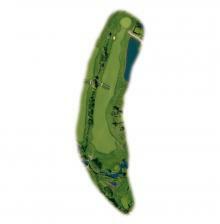 Whatever standard you are a par is a great score on this stroke index one hole. 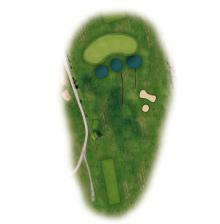 Dog leg from left to right the tee shot is key. 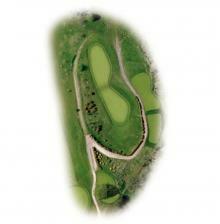 Avoid the bunkers and the out of bounds to the right and it should leave a straight forward shot into the green. This hole is full of danger. 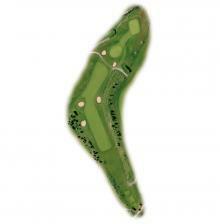 If you don’t try to take too much on, this hole should be a straightforward 5. But those that have tried and failed tell stories of high numbers, racked up in trees and water. A long hole which yet again sets a premium on accuracy. 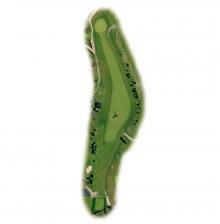 Three good shots are required to have a birdie putt on the longest hole at Three Locks. The first of two par threes in a row and again a test of nerve. 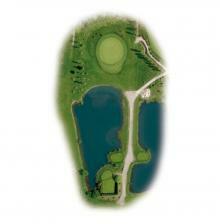 Water awaits a miss hit so take an extra club and swing smoothly.